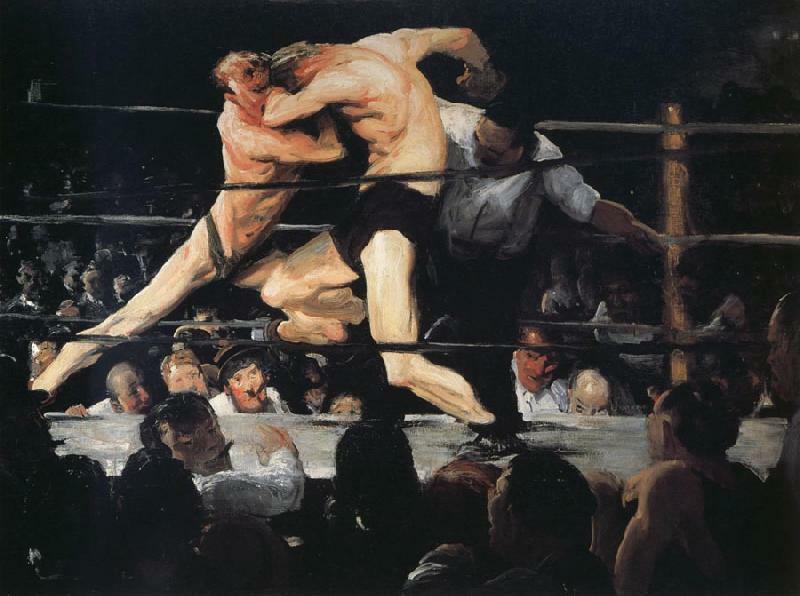 When George Bellows died at the age of forty-two in 1925, he was hailed as one of the greatest artists America had yet produced. In 2012, the National Gallery of Art will present the first comprehensive exhibition of Bellows' career in more than three decades. 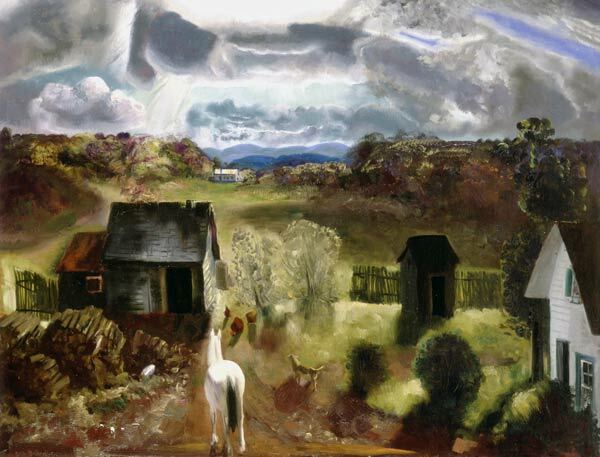 Including some 140 paintings, drawings, and lithographs, George Bellows will be on view in Washington from June 10 through October 8, 2012, then travel to The Metropolitan Museum of Art, New York, November 15, 2012, through February 18, 2013, and close at the Royal Academy of Arts, London, March 16 through June 9, 2013. The accompanying catalogue will document and define Bellows' unique place in the history of American art and in the annals of modernism. "George Bellows is arguably the most important figure in the generation of artists who negotiated the transition from the Victorian to the modern era in American culture," said Earl A. Powell III, director, National Gallery of Art. "This exhibition will provide the most complete account of his achievements to date and will introduce Bellows to new generations." The exhibition will begin with Bellows' renowned paintings of tenement children, boxers, and the urban landscape of New York. These iconic images of the modern city were made during an extraordinary period of creativity for the artist, beginning shortly after his arrival from Columbus, Ohio, in 1904, up to the Armory Show in 1913, and remain his best-known works. 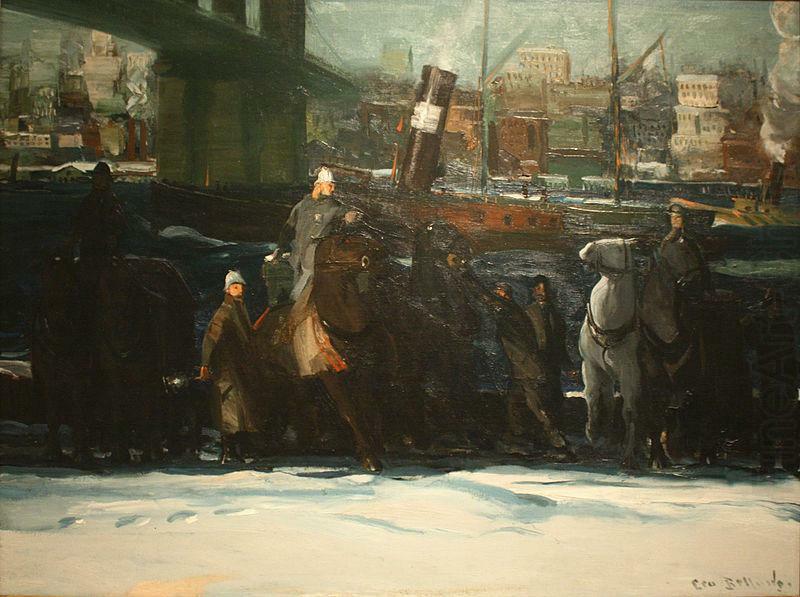 Snow Dumpers (1911, Columbus Museum of Art). Complementing the earlier signature masterpieces will be groupings that bring to light other crucial, yet less familiar aspects of Bellows' prodigious achievement, including his Maine seascapes, sporting scenes (polo and tennis), World War I subjects, family portraits, and Woodstock, NY, subjects. Drawings and lithographs will illustrate Bellows' working methods and the relationships between his various media. and The White Horse (1924, Worcester Art Museum), will prompt visitors to contemplate the artist Bellows might have become had he lived into the 1960s, as did his friend and contemporary Edward Hopper (1882–1967). So too will Fisherman's Family (1923, private collection).